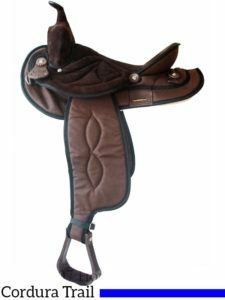 Before I get into my Big Horn Arabian saddle review, I want to talk to you a little about horses with high withers – since that’s what the saddle manufacturer had in mind when they created their Arabian saddle. Arabian horses are notoriously difficult to fit. That’s because they have high withers. 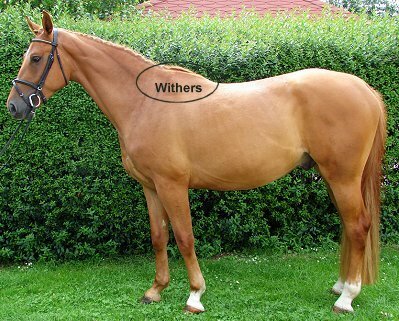 If you’re not sure what withers are, the withers is the ridge between the horse’s shoulder blades. 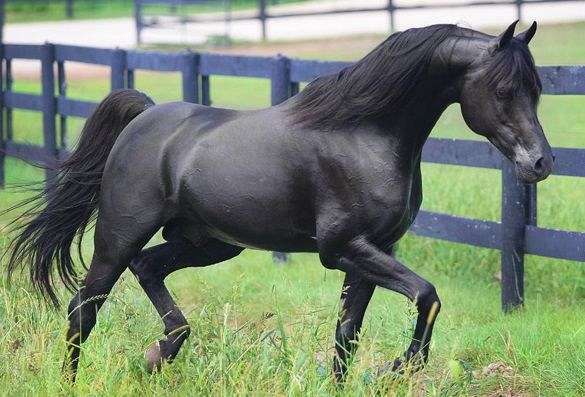 So if the withers are too high, which is normally associated with a narrow chest, the saddle will be difficult to fit as the saddle would interfere with the withers, causing extreme pain to the horse. If there’s not enough ridge in between the horse’s shoulder blades, it would not keep the saddle in place on the horse’s back. Big Horn Arabian saddle makers have come up with a solution to the horse withers problem, as well as a host of other saddle problems – like being too expensive and hard to maintain. First, the Big Horn Arabian Saddle is made from synthetic Cordura material. Cordura is a synthetic material that’s extremely durable. It’s more durable than cotton duck, standard polyester, and standard nylon. In fact, Cordura is so durable, it’s resistant to tears and scuffs, which usually happen when you go for a ride. The “easy to care for” part is a major selling point. After coming back from a ride, in order to get mud or dirt off your saddle, all you have to do is wipe it off with a damp cloth. And the lightweight and durable construction make these saddles more comfortable for the horse as well as the rider. Next, Big Horn Arabian saddles are designed specifically to fit Arabian Horses, keeping this horse’s conformation in mind. One of the most sensitive areas on a horse is the withers. This area must have sufficient clearance in order to maximize the horse’s comfort while maintaining balance and security for the rider. 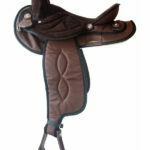 The Big Horn Arabian Saddle has more wither clearance, thus ensuring less pressure on the sensitive wither area. This will make your horse a lot happier, reduce sores, and other wither-related complications. Both saddles are made from the finest synthetic Cordura materials. They’re manufactured using Steele Tree Company’s Equi-Fit Arabian Wood Tree technology covered with fiberglass for reinforcement. This technology ensures that the Big Horn Arabian Saddle will fit your Arabian horse based on one of the 9 molds that the Steele Tree Company has made and tested. The Big Horn Synthetic Cordura Trail Saddle is manufactured with the horse in mind. 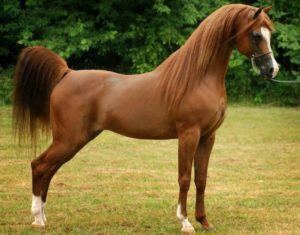 It’s perfect for a short-backed horse or pony as it has a short rounded skirt, short bars, and less twist in the bars. 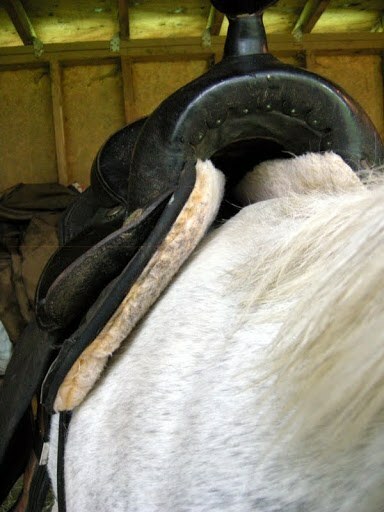 This creates less friction and ensures your horse is comfortable and relaxed. The saddle is specifically designed for Arabian horses, which makes the seating extremely secure for the rider and maximizes the horse’s comfort because of its shoulder room. It’s available in 15.5” or 16.5” grain out with a padded seat covered in either brown or black Cordura. The Cordura, sterling silver plated conchos and Ralide stirrups give it an elegant look. Other features include 7/8 position rigging, Arabian bars, and gullet – and it only weighs 20 lbs. This Big Horn Arabian Cordura Trail Saddle is manufactured using a medium wood tree covered with fiberglass. The 4” cantle and longer saddle strings make this an excellent trail saddle. There is plenty of room for equipment and camping gear. The elegant design boasts Arabian bars and gullet, brass crupper ring and stainless steel buckles. Like the Big Horn Cordura Saddle, this Big Horn Arabian trail saddle model is extremely light, weighing in at 20 lbs. It’s really easy to lift. The fenders and 26”x13” skirt are made from Cordura, which makes the saddle durable, light and comfortable. The 18”x8” Cordura fenders on this model are also extremely soft and comfortable for the rider’s legs. This Big Horn Saddle is also designed with the horse in mind. The Cordura material is very light providing minimal pressure and weight on the horses back. Also, the wither clearance has been increased on this model as well, to ensure the horse’s wither area receives minimal pressure. 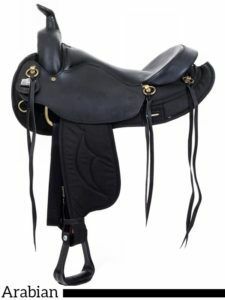 Now that you’ve read my Big Horn Arabian Saddle review, I hope it’s helped you to decide if this is the saddle for you. If you’ve found this post helpful, please be sure to leave your comments below. I love your site and I have learned so much. It is very interesting that the wither is a very sensitive part of the horse. I would not have guessed that at all. I think being sensitive to the horse is wonderful and this saddle seems like a perfect choice! Wonderful information! Amazing break down of Arabian saddles! My aunt owns 2 horses and swears by the cordura trail saddles. Her reasoning is the front padding is better on the horse for when you lean forward. It provides less of a push on the horse and is more comfortable to both the horse and the rider. Again, amazing post! @Matts Mom: Yes. Most people are not aware of the sensitivity of the horse’s withers! The poor horse is often in extreme pain. Thanks for commenting. @Andrew: Thanks so much for your comment. 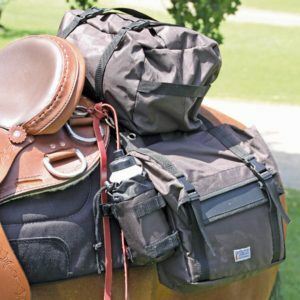 My blog is really about making sure the rider takes the horse’s welfare into consideration when purchasing a saddle. Great information, Thank you . I am looking now for a Arabian saddle for western dressage little bling. Do they make one? New or used . DIfficult underestimate lol. Can provide pics……if u wish.